Of course, this is precisely what the purpose of an assessment center is. By applying these tough tests and exercises, employers want to test their applicants’ soft skills, which are usually not apparent from their resumes. How does the applicant work under time pressure? How does he/she behave in a team? What are his/her presentation skills? These are just some of the questions that companies consider as part of the work at an assessment center. 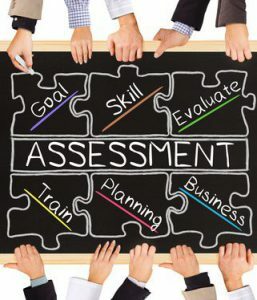 Although assessment centers differ from company to company, there are some exercises that are an integral part of every assessment center. Hence, you can prepare yourself quite well for such an event. And it is our goal to give you the best preparations possible, so that you can attend your first or next assessment center in a relaxed, stress-free manner. To achieve this, we are going to outline the five most frequently tested exercises and show you how to master them best. A round of introductions is the most common starting point at an assessment center. Thereby, applicants get a chance to introduce themselves and get to know each other and their so-called assessors (the company’s representatives). In turn, the assessors get an initial impression of the personality, motivation and appearance of the candidates. In general, the assessors start the introductory round. While introducing yourself, it is very important to remember that you should not just recite your resume mechanically. You can assume that the company’s assessors have read your CV carefully. Take the opportunity to highlight the most interesting and exciting points of your career and accentuate your job-relevant strengths and experiences. Make yourself aware that dealing with over 100 candidates (and quite often many more), the assessors quickly lose track of individual applicants. A business student, who has already set up a start-up company while at university and who volunteers in refugee aid, will definitely be retained in memory more easily than a rather “boring,” average person, with no outstanding qualifications. On the other hand, please don’t be too full of yourself. If you have recently graduated from university, no one expects you to have the resume and experience of a long-time business professional. So, do not protract your personal introduction unnecessarily. Better make a brief and to-the-point introduction than a lengthy and boring one. And another tip: Prepare to answer this question in the introductory session: Why are you participating in this assessment center? If your answer is, “I just wanted to see what the fuss is all about,” you better pack your bags right away. So have a crisp answer up your sleeve, as to why you are interested in the company and why you are a perfect match for your future employer. This is exactly the answer that the assessors want to hear. A variation of the personal introduction is the candidate interview. The assessors may split the group into pairs, which interview each other. In some cases, the company provides you with the interview questions. In other cases, you are completely free to structure the interview. This, of course, makes things a bit trickier, but also more exciting. So, think about some questions that you want to ask a fellow candidate, and that you might be asked in turn. The inbox exercise is a classic among assessment center tasks. Actually, in the context of today’s electronic way of communication, the exercise should be called a mailbox, but anyway. In this exercise, you will get access to a mailbox, in which you will find some 10 to 20 mails. These mails have been sent by different people who confront you with various tasks. Here are some examples: The boss wants you to correct a presentation within an hour. A customer demands an urgent response to a complaint. A supplier requires feedback on an offer. On top of that, your wife asks you to pick up your daughter early from the daycare, and, finally, your dog has had an accident, and has to be taken to the vet immediately. Now it is up to you to go through these tasks, prioritize them, take a decision to handle them yourself, or delegate them to somebody else. The difficulty of the inbox exercise is that content can overlap and all the tasks have different deadlines. In order to further increase the candidate’s stress level, you may have to handle some incoming phone calls or requests from co-workers in between. Many inbox exercises cannot be completed in the given time-frame of (usually) one hour. This should not cause you despair, because the ultimate purpose of this exercise is not to get all the tasks completed, but to demonstrate to the company how you cope with a heavy workload in general, how focused and structured your work can be under time pressure, and how good your organizing and decision-making abilities are when put under stress. That said, the worst case for you would be to have a nervous breakdown, be petrified, and not get anything done at all. In the feedback discussion after the exercise, the assessors will inquire about the reasons for certain decisions. It is important for them to understand how logical your reasoning has been. What was your motivation to prioritize certain tasks, handle some of these personally, and delegate others? In many instances, there may be no right or wrong answer. It’s all about reasonably justifying your decisions. The inbox exercise is not undisputed. Many critics claim that there is little or no reference to the working reality in most companies. Be as it may, we can only recommend you to search the internet for some inbox exercises and get a feel of what to expect. Of course, you can also put yourself under pressure at home and try to complete the exercise within a given deadline. This will definitely give you some extra confidence and the exercise will probably appear less stressful at the assessment center itself. Role playing is known to be one of the most difficult tasks of an assessment center, since you can hardly prepare for it. There are just too many versions and ways to play this “game.” Usually, role-play is about a conversation between the candidate and one or two of the assessors. For example, a performance review with an employee or a pitch with a customer can be simulated. The assessor may ask you to take over the role of the employee or the seller. Alternatively, it might be that you would have to play the boss or the customer. As you can see, there is a lot of possible ways to structure a role-play. In order to add some spice to the game, a confrontational situation is mostly simulated. For example, a boss gives his employee some really bad feedback. Or a customer complains heavily about a product defect. These would test your social skills in difficult and conflict-laden situations. An important tip for role playing is for you to understand the problem in full detail. Quite often, the starting point of the game is a general complaint or blame game. The boss tells you, “Müller, your performance has been miserable in the last few weeks.” Or a customer complains: “Your product isn’t worth the money at all.” In a situation like this, you should always try to find out first why your boss or the customer came to their respective conclusions. When asked, they will give you further details that you can reasonably deal with. Generally, it is important to keep calm and react in a cool-headed manner in a role-play. Don’t let yourself get carried away and avoid making impulsive and inappropriate reactions. Your assessors will listen very carefully to how you deal with your fictional boss or customer. Nevertheless, you should not be intimidated by the situation of conflict and be all meek and mild. Equally important is the candidate’s ability to courageously stand up for his/her own point of view. No company wants to hire a yes-man, one who is easily pushed aside by his/her boss or walked over by a customer. At many assessment centers, you may also have to make an individual presentation. Usually, the topic of this presentation will be a current political or economic development or an issue related to the company’s industry. So, be prepared to elaborate on the Brexit, the global fight against terrorism, or the handling of refugees in your country. And, if you are attending an automaker’s assessment center, it goes without saying that you should be able to say a few words about the future of electric-powered vehicles. No company will assume that you are the expert on a particular field. The presentation exercise is all about these two points: How analytically you approach a certain topic and how good your presentation skills are. The group discussion (or the group presentation) is also an integral part of most assessment centers, and not necessarily the easiest. As the name implies, it is a group exercise, and you neither know its subject nor the other participants’ behavior. As candidates’ personalities differ, the outcome of a group discussion is always uncertain. The groups are often very heterogeneous. Characters may range from the narcissistic showoff to the timid chicken. An additional obstacle for a productive group discussion is the fact that candidates at an assessment center naturally see themselves as competitors fighting for a limited number of jobs. This often leads to aggressive and controversial discussions. In order to follow the group discussion as closely as possible, the groups are usually watched by at least two assessors. They assess the applicants in various soft skills categories, such as teamwork and communication skills, persuasive power and determination. We would like to give you two tips regarding your appearance in a group discussion. For one thing, you should hold your own opinion. However, that does not mean that you should ignore or even denigrate your fellow group members’ opinions. Most companies pay close attention to how team-minded the applicants are. Even if a candidate is very knowledgeable and argues convincingly, if he/she does not take the opinion of others seriously, that candidate will get worse grades in the presentation exercise than a more team-minded person with better social skills. Also, speak up for a productive solution. Quite frequently, because of the absence of a boss or moderator and the participants’ divergent opinions, group discussions end up in complete mayhem. If the group has to hold a joint presentation, disaster looms. In such a situation, you are always well advised to stand up for a reasonable solution. Your assessors will appreciate the fact that you are trying to channel the different opinions into a compromise that is acceptable to everybody in your group. This is proof that you are not only a valuable team member, but that you are capable of leading a team without formally being the boss. As you can see, an assessment center is no walk in the park, and you’ll definitely feel exhausted after the two or three days of the event. However, from his own experience, the author can report that participation in an assessment center is a very valuable experience. You will not only learn a lot of new things, but even more important, you will get to know yourself much better. There are not that many situations in life wherein one is exposed to such an amount of stress within a short time-frame. 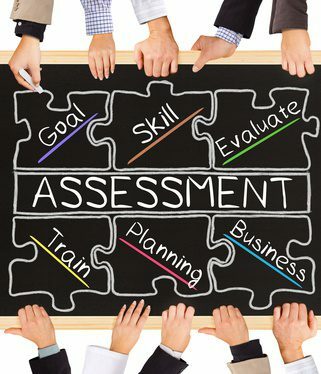 Having completed an assessment center, you will be able to assess much better how stress-resistant you are and how you react in stressful situations. We do hope our tips have shown you how well you can prepare yourself for the exercises waiting for you at the next assessment center. Finally, we would like to remind you to spend one or two days at home in peace, inform yourself about the company and its industry, and also research the internet for some of the exercises described in this article. This will strengthen your confidence and take away your fear of assessment centers. Remember, the most important precondition for being successful at the assessment center is your own self-confidence! This entry was posted in Career and tagged assessment, assessment center, exercises. Bookmark the permalink.